Progressive supranuclear palsy (PSP) is characterized by early appearance of postural instability and supranuclear gaze palsy . 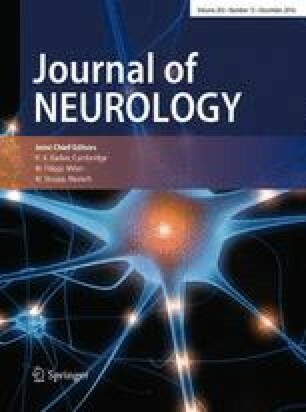 However, considerable clinical variability has been reported, such as Richardson’s syndrome, PSP-parkinsonism, PSP-pure akinesia with gait freezing, behavioral variant frontotemporal dementia, and non-fluent/agrammatic variant primary progressive aphasia . Kanazawa et al. recently defined a new clinical subtype of PSP with cerebellar ataxia as the initial and prominent symptom, called PSP with predominant cerebellar ataxia (PSP-C) . Here, we present our observation of a pathologically confirmed PSP-C patient, who was initially diagnosed with multiple system atrophy-cerebellar type (MSA-C). Gi Yeong Huh, Eun-Joo Kim contribute equally. The online version of this article (doi: 10.1007/s00415-016-8303-0) contains supplementary material, which is available to authorized users. This study was supported by the Original Technology Research Program for Brain Science through the National Research Foundation of Korea (NRF) funded by the Korean government (MSIP) (No. 2014M3C7A1064752), and clinical research grant from Pusan National University Hospital 2015. We thank our patient and his family for donating brain to the Pusan National University Hospital Brain Bank to contribute to dementia research. The study has been approved by the institutional review boards and has, therefore, been performed in accordance with the ethical standards laid down in the 1964 Declaration of Helsinki.